Set up a spray area by covering work area with newspaper to catch overspray. Make sure it is a well-ventilated area. Prep surfaces by sanding any rough areas, if necessary. Wipe down surfaces to remove dust and particles. 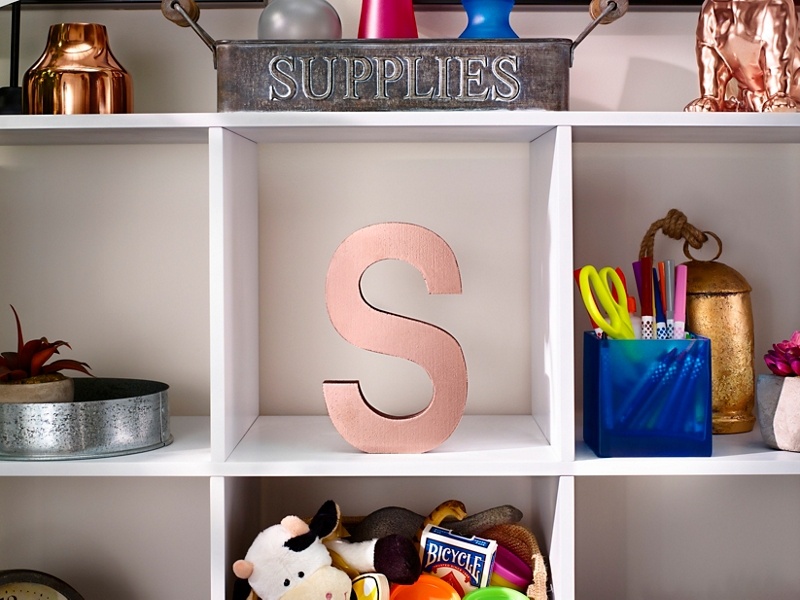 Apply even coats of Krylon® ColorMaster™ Paint + Primer in Rose Gold in a side to side motion. Recoat until the letter completely covered. Allow paint to dry completely.